Our family has been to Walt Disney World more than our fair share of times over the past 20 years. Every three years or so, we buy annual passes and make several long weekend trips to play at the parks enjoying the different themed events along the way. It helps that we live within an easy driving distance, that’s for sure. Through the years, we’ve learned a thing or two about how to enjoy a magical Disney vacation. First, of course, plan your trip! Walt Disney World is enormous. Without some type of plan, it’s overwhelming. Our free Disney planner provides lots of helpful advice, including a review and explanation of the new Fastpass+ system. While I haven’t taken any behind the scenes Disney tours myself, I know you can ride all the big rides in one day with a Day of Thrills VIP tour! Check out what what my friend Krystyn has to say about Disney VIP tours. 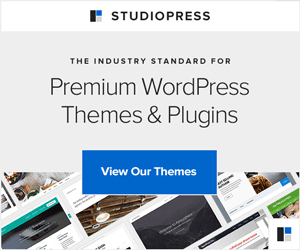 You decide if the price is worth it for your group. If you don’t want to “do it all in one day,” use these top travel tips to make your vacation magical. They don’t cost extra, but I guarantee you will appreciate each and every one! 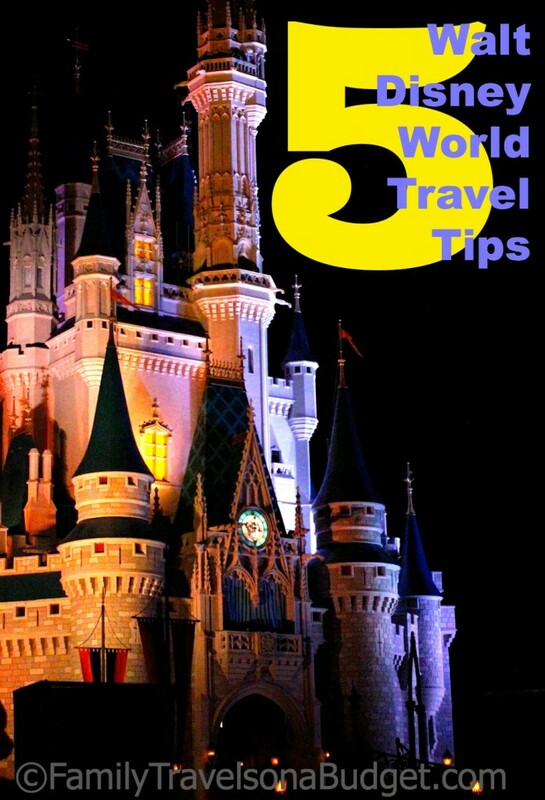 One last Walt Disney World travel tip…. Drink lots of water! It’s free at all Disney restaurants — and you can get a cup of water to go without having to purchase anything. Stay hydrated. Enjoy more! 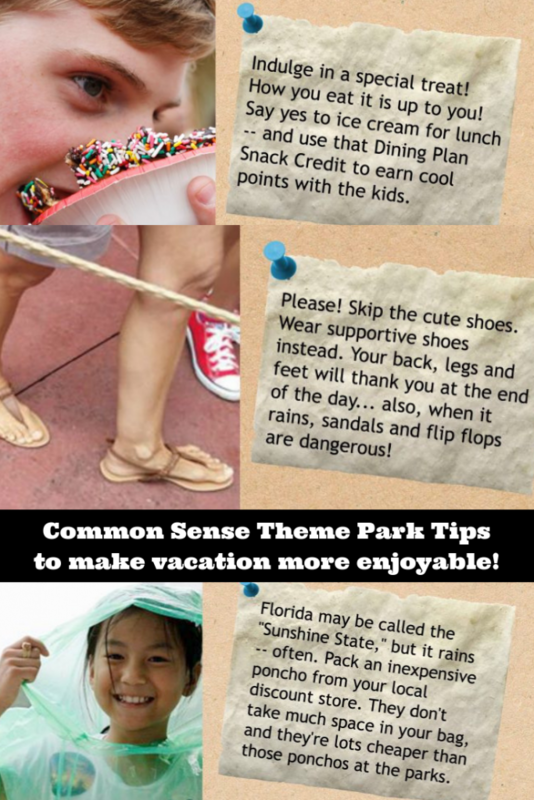 As you plan your Walt Disney World vacation, I hope these travel tips make it easier! If you are a Disney pro, please share your favorite travel tip below or share a comment on our Facebook page. I’d love to hear your “house of mouse” tips and tricks! 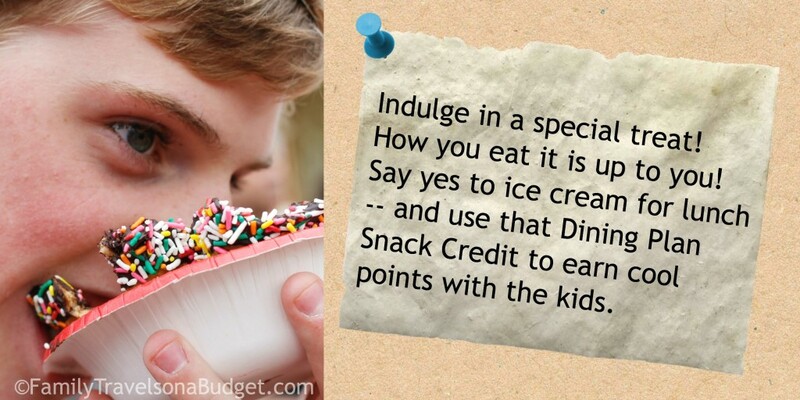 These are great tips and we can’t wait to go back!!! 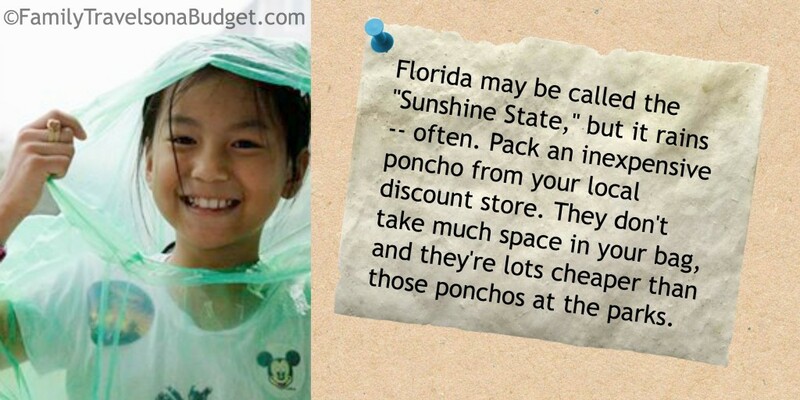 I totally agree with the pancho idea! Never would have thought of that. You are AWESOME! I am a Disneyholic too! 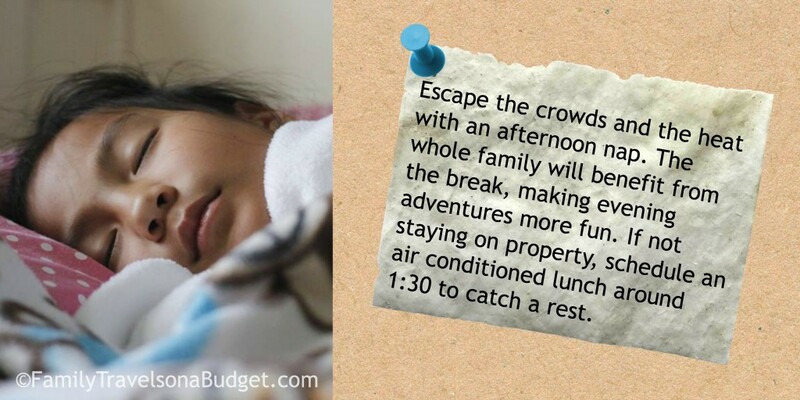 I have been too many times to count and love the afternoon nap because you feel recharged, ready to go, and refreshed – especially the little ones. I never thought of the poncho idea – really helpful. Thank you! A tip I have that we did was to rent the single stroller for $15 and pack a couple of small coolers. They allow you to bring in coolers and we packed water bottles that we froze and easy to eat foods like PBJ sandwiches, squeeze yogurts, pretzels and grapes, but we did splurge on a snack from the Dole Whip counter which is a pretty decent deal of a float for $5 and other things cheaper. We pushed our food in the stroller and when our 4 & 7 year old started complaining of walking they took turns in the stroller and held the coolers. You’re a pro, too, Jessica! My kids are too old for strollers now, but lockers are available for rent at each park so you don’t have to carry the cooler all day long. I agree on the Dole Whip, too. It’s my favorite snack in all the parks. We keep trying to make it at home, but it’s not quite the same. If I ever perfect the recipe I’ll post it here! I am not sure if park hopper tickets are still the best deal since you can only get fastpasses for one park, but I do agree that the nap is the key! To work within the new fastpass constraints, schedule late afternoon/early evening fastpasses for the preferred park as far in advance as possible (60 days on property and 30 days if staying off property). Go to the chosen park in the morning before the afternoon heat, thunderstorms and crowds. Leave for the afternoon nap and a meal. Then, head to the park later in the day to use those fastpasses. 1. Book character or special dining if desired NOW! The character meals sell out quickly. At WDW, we schedule in park breakfasts before the park opens — kinda fun walking through an empty theme park. We schedule lunch a bit late — around 1:30 — to get a mid afternoon break. 2. If you do not want a sit-down meal, take a look at the disneyland planning site to review menus and plan your attack! If you have specific questions, please email me. I’ll see if I can find the answer for you. We would nap every afternoon and then park hop to another park, usually whatever stayed open late that day. You sound like a Disney pro, Scott! Isn’t it amazing how much a two hour break helps? Our first trip, the boys were little and still napped daily. We “had to” take a break. The next time around, they were 9 and 6. Neither of them wanted to miss a thing. We pushed through from open to close the first couple days. By day three, everyone was tired and grumpy (nothing like those magical families on the TV commercials). We took a nap that day and have been napping ever since! Love this, Karen! 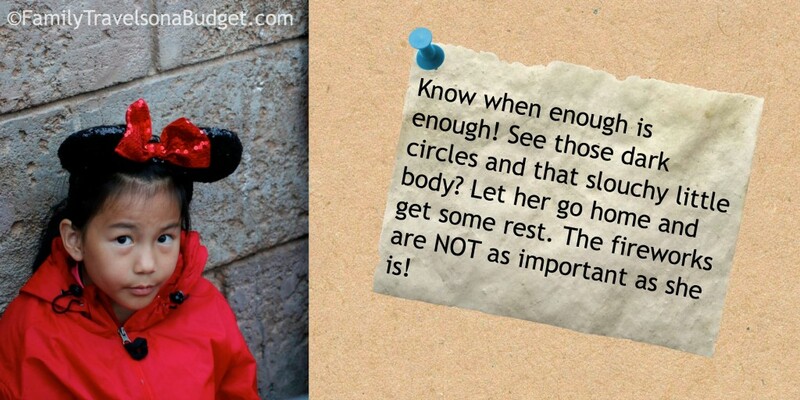 Very timely for us as we are counting down the days until our DisneyWorld vacation in June!! I’m so excited for you Rosann. Message me later. What dates?